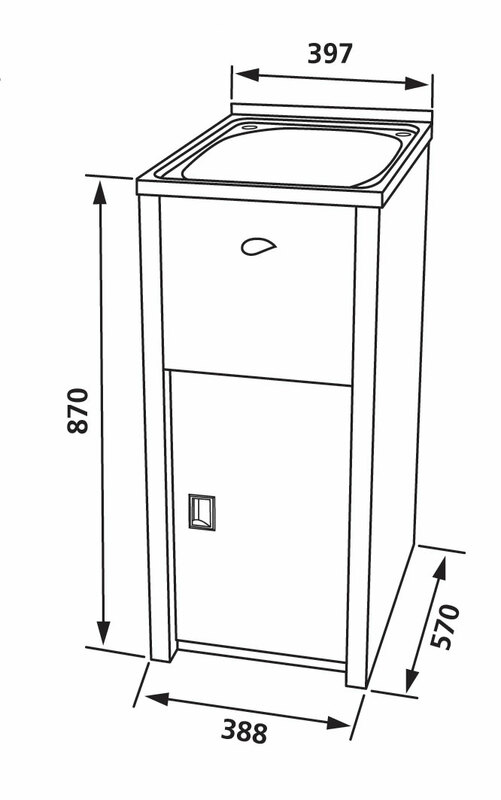 The NuGleam™ Mini Laundry Cabinet & Sink offers a no-fuss solution to your laundry duties. 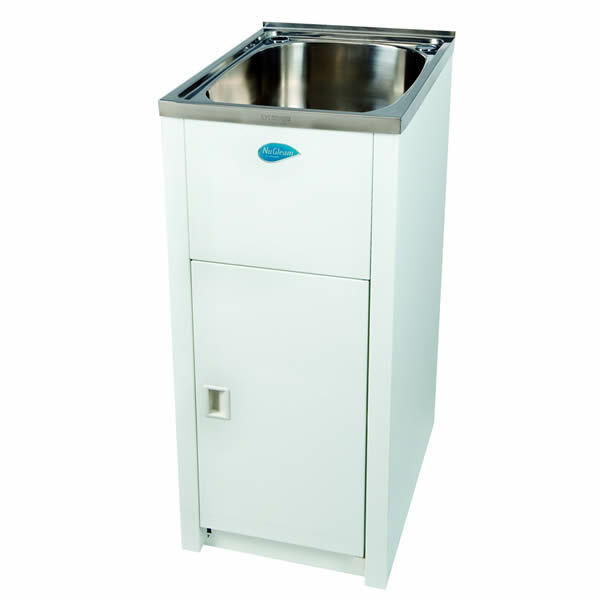 It is a practical and simple combination unit, which is robust and is equipped with a 30 litre square sink. 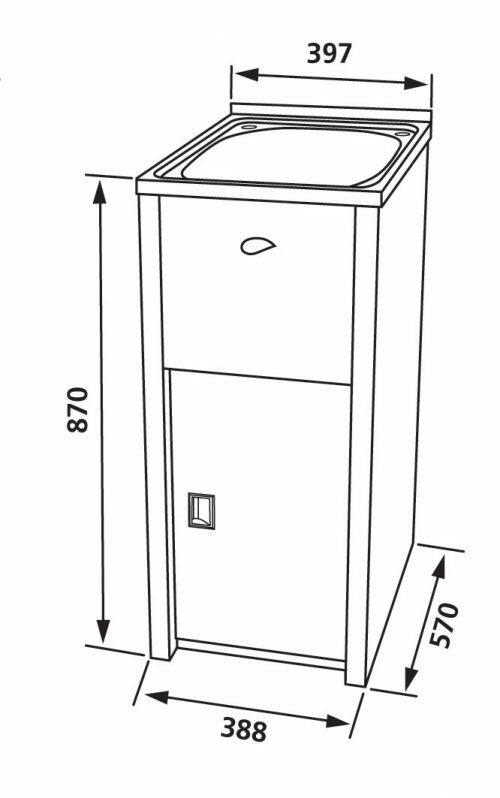 The NuGleam™ Mini Laundry Cabinet & Sink is available in a white finish and will make for an attractive addition to your laundry. Featuring a stainless steel sink and a Dupont® coated steel cabinet, the NuGleam™ Mini is certainly capable of handling all your wash loads. 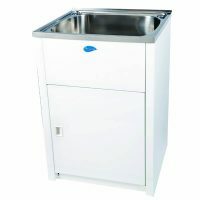 Measuring 397x570x870mm, this single bypass combination unit also includes a basket waste which is approved by Watermark Australian standards. 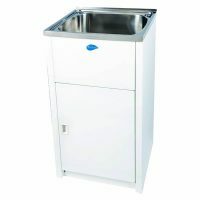 The NuGleam™ Mini Laundry Cabinet & Sink is highly durable, requires very little maintenance and will not rust over time. To ensure your peace of mind, Everhard offers a 25-year manufacturer’s warranty on the stainless steel sink and metal cabinets and a 1-year warranty on all rods, hinges, wastes and plugs. Rest assured, this is a superior grade product that will offer you many years of service, even with substantial usage. The NuGleam™ Mini Laundry Cabinet & Sink is currently featured on Ross’s Discount Home Centre at an unmatched price in the market. Get yours today before stock runs out!